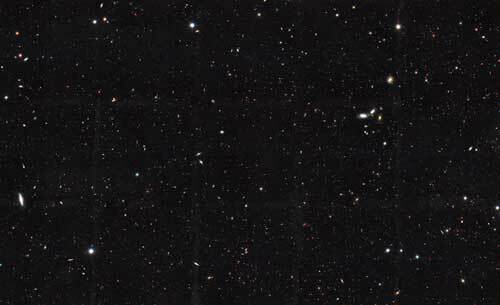 (Nanowerk News) An international team of astronomers, led by Christopher Conselice, Professor of Astrophysics at the University of Nottingham, have found that the universe contains at least two trillion galaxies, twenty times more than previously thought. The team’s work, which began with seed-corn funding from the Royal Astronomical Society, appears in the Astrophysical Journal today ("The Evolution of Galaxy number density at Z < 8 and its implications"). Astronomers have long sought to determine how many galaxies there are in the observable universe, the part of the cosmos where light from distant objects has had time to reach us. 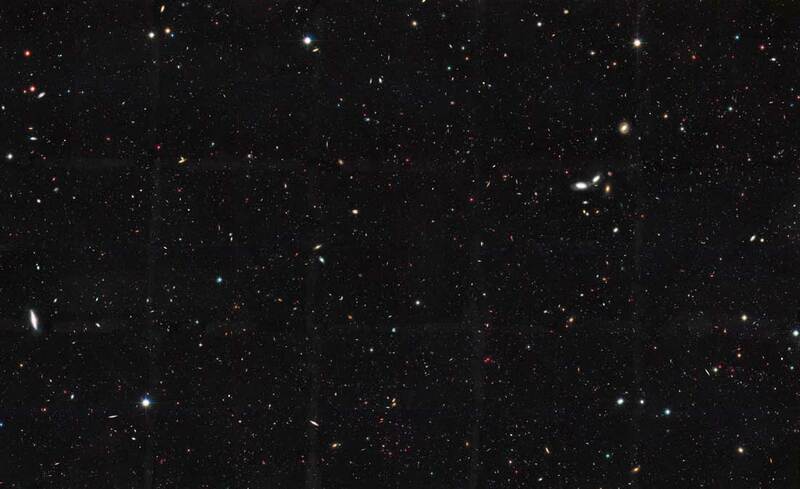 Over the last 20 years scientists have used images from the Hubble Space Telescope to estimate that the universe we can see contains around 100 - 200 billion galaxies. Current astronomical technology allows us to study just 10% of these galaxies, and the remaining 90% will be only seen once bigger and better telescopes are developed. Prof Conselice’s research is the culmination of 15 years’ work, part-funded by a research grant from the Royal Astronomical Society awarded to Aaron Wilkinson, an undergraduate student at the time. Aaron, now a PhD student at the University of Nottingham, began by performing the initial galaxy-counting analysis, work which was crucial for establishing the feasibility of the larger-scale study. Prof Conselice’s team then converted pencil beam images of deep space from telescopes around the world, and especially from the Hubble telescope, into 3D maps. These allowed them to calculate the density of galaxies as well as the volume of one small region of space after another. This painstaking research enabled the team to establish how many galaxies we have missed - much like an intergalactic archaeological dig. The results of this study are based on the measurements of the number of observed galaxies at different epochs – different instances in time - through the universe's history. When Prof Conselice and his team at Nottingham, in collaboration with scientists from the Leiden Observatory at Leiden University in the Netherlands and the Institute for Astronomy at the University of Edinburgh, examined how many galaxies there were at a given epoch they found that there were significantly more at earlier times.